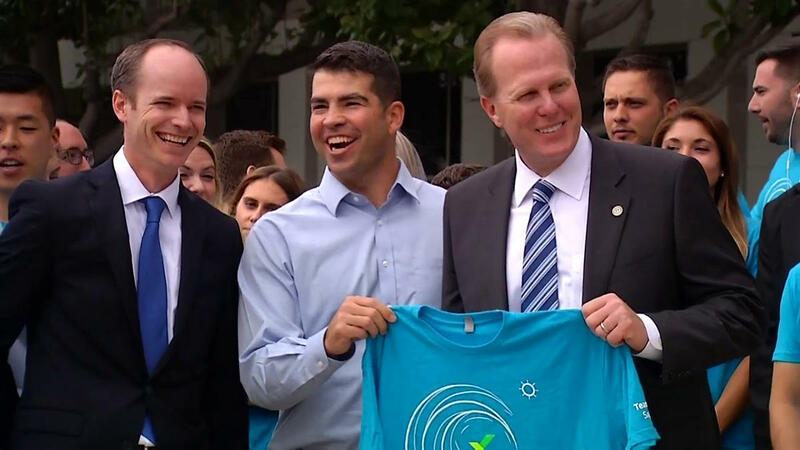 Today, we welcomed Wrike, a Silicon Valley-based SaaS startup to San Diego. While Wrike is certainly a unique company, its situation is one we know well. Recognizing the talent footprint in the region, Wrike chose to expand to San Diego, bringing with it 150 jobs over the next three years. Located a stone’s throw away from UC San Diego, Wrike is looking to attract talent from the region’s top universities, including SDSU and CSUSM. The company considered Raleigh, Phoenix and Chicago as alternative locations, but in the end, chose San Diego as the place to expand its California footprint. "We're thrilled to expand to San Diego and open this location as a launch pad for our growth here,” said Seth Shaw, Wrike’s Chief Revenue Officer and San Diego expansion lead. “We've been really impressed with the high caliber of talent in the region and the enthusiasm for growing professionally in a startup environment." EDC’s recent data can attest to the depth of San Diego’s talent pool. In 2014, San Diego gained 72,000 degree holders – more than any other major metro area. However, it’s not just the talent pool that attracted Wrike here, but the quality of life the region offers to employees. Not only are the region's beaches ranked among the best in the country, but San Diego ranks fourth in number of sunshine hours (yes, that’s a metric), and has the lowest average commute time among our peer metros. Life most certainly works here, and we’re proud that Wrike agrees.